In that moment I understood; it takes darkness to face darkness. Some of you might be wondering what happened to the book I’ve been promising for a couple of years now (time flies, eh?). Well, life happened, and delayed the book for a while; I’m back on track now though, as you can see from the above. ‘Dragon Divine’ is one of eight new illustrations for the book, and one of two double page ones. 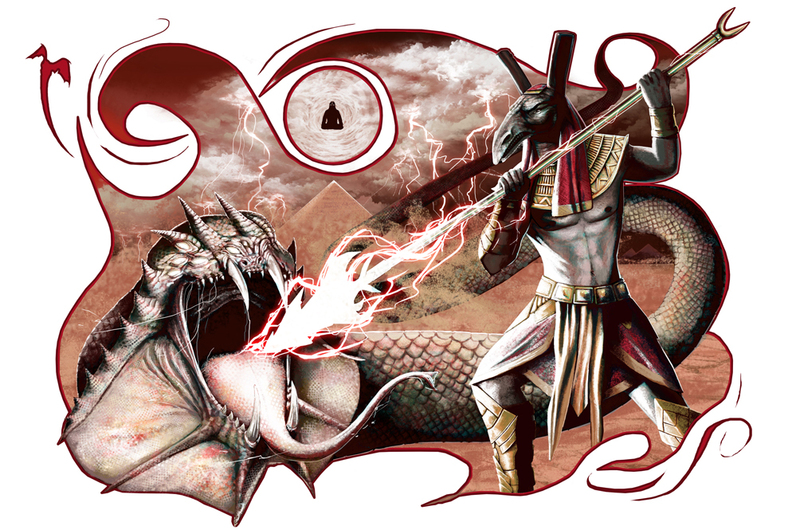 The other double page illustration, ‘Hawk Divine’ – for which the book is named – features Horus, of course, looking equally epic. But you’ll have to get the book to see it. Fingers crossed I will have the final proofs in hand in January, and will publish soon after. Wish me luck!